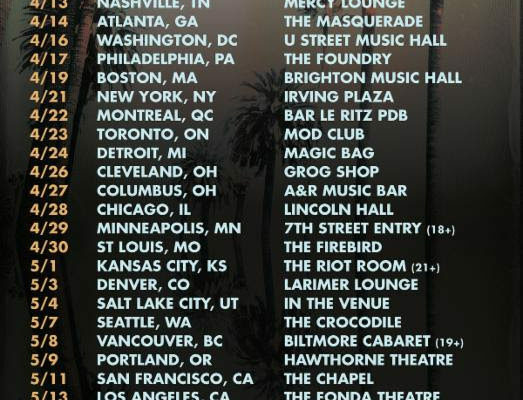 Coasts Announce North American Tour! Coasts have announced their North American Spring headlining tour. Kicking off on April 13 in Nashville, the tour spans the United States and Canada and runs through the end of May. Tickets are on sale now and available HERE. ← Previous Story Did you hear who’s headlining Hinterland this year? I, The Mighty Vans Warped Tour 2014 Interview! Princess Alan Ashby?! Hoodie Allen Releases “Are U Having Any Fun?” Music Video!